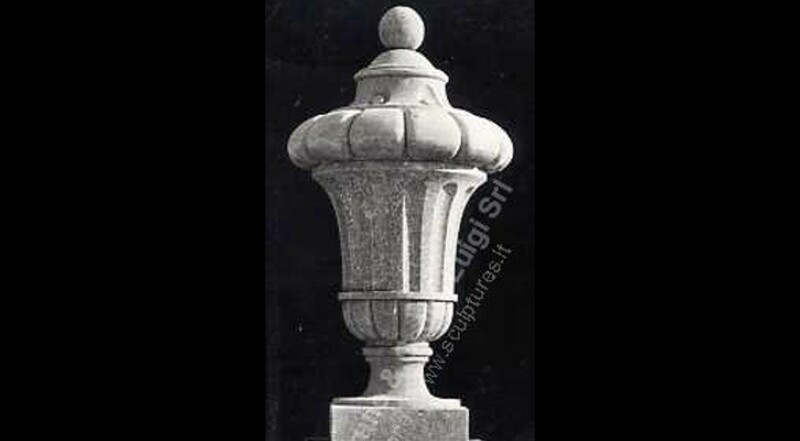 An elegant classic Palladio's Villa style Finial perfectly used as landscape element in gardens and courtyards. On the top a carved a round sphere. Used on several Italians Villa as simple but very elegant garden ornaments in different areas, balcony,balustrade, pilaster entry gate,top of roof and much more. All the Palladio Villas have this particular finial element, in particular on the top of the Villa or around the garden with statues, finials and columns. Finial is the perfect garden ornament for a formal garden gateway, perhaps to a walled garden.